May deals in the gorgeous Atlas 3 bedrooms. 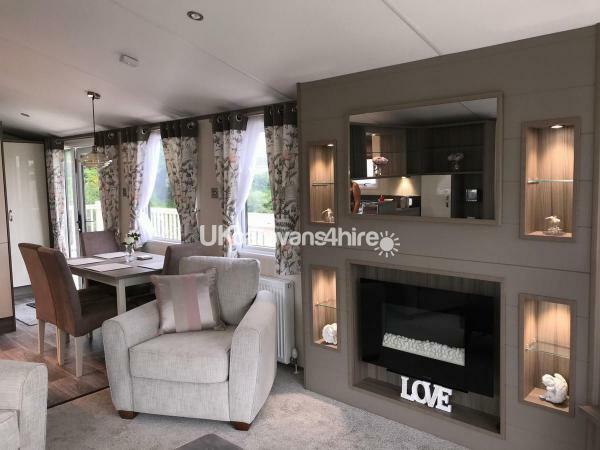 Atlas Image 5 BRAND NEW 2018 model with french doors, with full wrap round decking and veranda, with all oustide decking furniture on them. private parking space at side of caravan, large grass area to the side of decking. In a quiet cul-de-sac 3 minutes walk to complex. 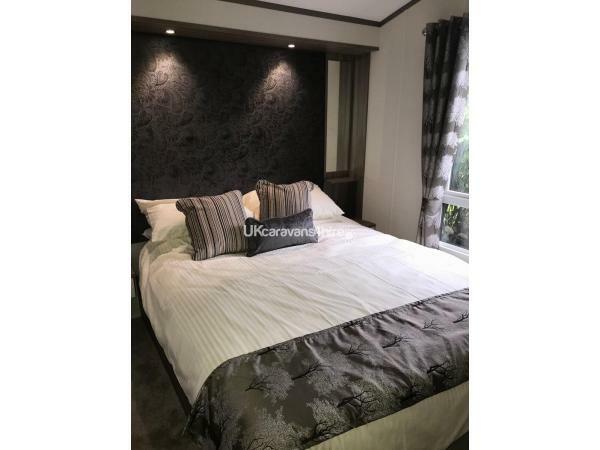 3 bedroom sleeps upto 8 absolutely stunning caravan. 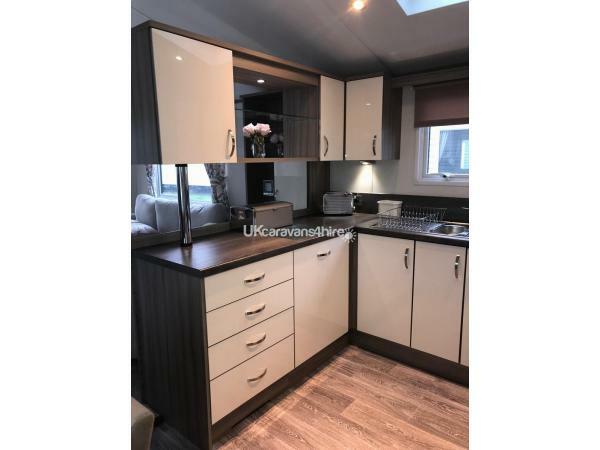 Fully equipped kitchen which includes, built in fridge freezer, microwave, gas cooker, DISHWASHER, all utensils, crockery, cookware as well as iron and ironing board, cordless hoover to make your stay home from home. Also included cleaning products, even toilet rolls, aswell as tea coffee and sugar. 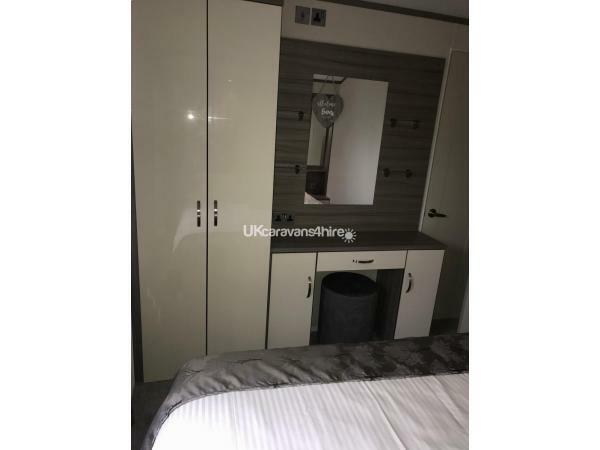 1 double bedroom with ensuite also walk in wardrobe, also 32 inch tv. 2 very spacious twin bedrooms with full size single beds, both twin rooms has tv with built in dvd player. The sofa in the lounge also turns into a double bed, main bathroom with shower. Linen is provided for all beds at no extra cost. Outside you will find a lovely spacious grassed lawn, with picnic bench. Also there is private parking right at the side of the caravan If you book a full week you will get discount off. Just outside the park nearby you will find pubs/restaurants,takeaways also 5 mins up the road is asda supermarket,also freeport shopping centre. Almost staright across the road is Farmer parrs which is ideal for the kiddies. A short ride away into Clevelys and Blackpool. 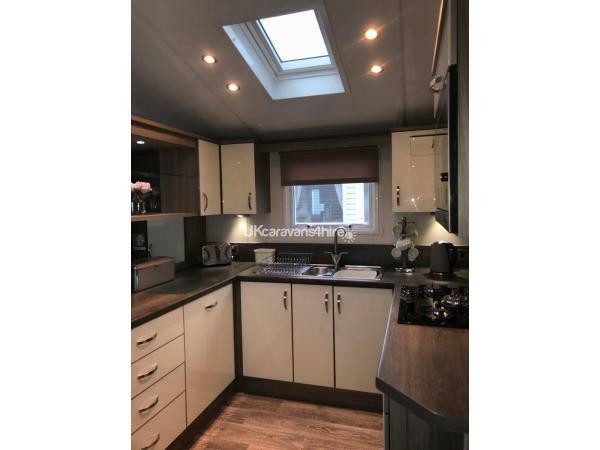 Andreas caravan is in a lovely location its absolutely pristine inside & out, its obvious this owner cares for her caravan throughout, it's very spacious & clean inside & plenty of furniture outside for everyone to enjoy the sun. There's everything you possibly need & nothing more you could ask for its well thought out, the beds are lovely & comfortable too. Great communication from Andrea, so fast at answering your emails & keeping you informed. We had an amazing time in this caravan & enjoyed it so, so much we are going back in 3 weeks time & can't wait that's how great it was. Hi tracy Thank you for your lovely comments so glad you enjoyed. It is a lovely location and not 5 mins from the complex. Thank you both for leabi g so spotless like you did. Didn't have to do anything only leave fresh linen. See you in 3 weeks. Hi mark Thank you so much for your heart felt comments mean so much to me I try my best. Also so glad you all enjoyed and also thank you for your recommendations ???????? 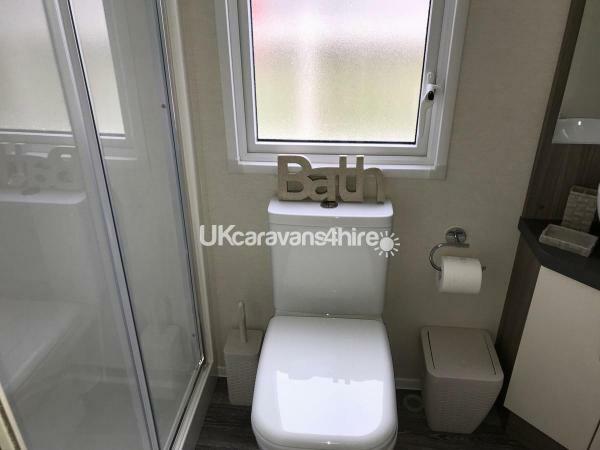 A beautiful caravan with everything in it you would need. Owner very friendly and helpful. We will definitely be back. Thank you Vicky for your kind comments so glad you all enjoyed. See you again soon. 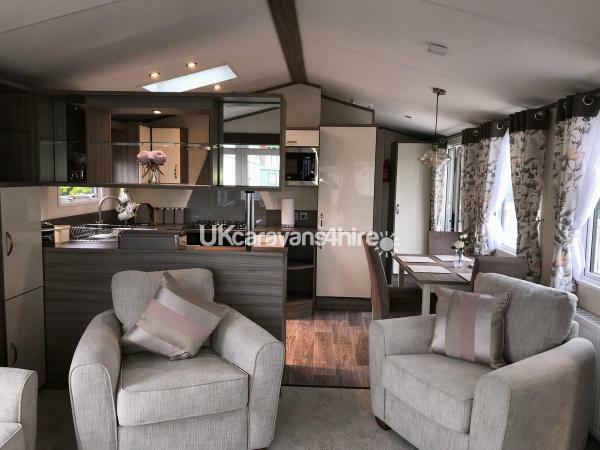 This was a great stay in a very stylish, comfortable, well equipped, clean and warm caravan. 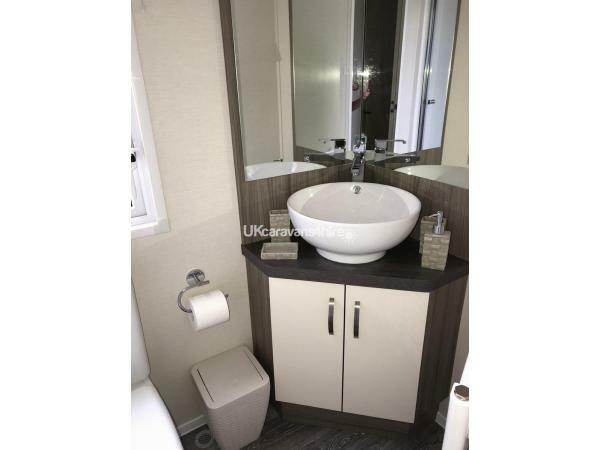 Everything you need is provided and the caravan is in a good location on the site. Communication from the owner is first rate. This was our first time hiring direct and it was a good experience and great value for money. Thank you Alison so happy you all loved it and so glad you loved the caravan. It is beautiful and in a good location. See you again soon I hope ???????? Thank you for the most luxurious stay in your Atlas caravan! The caravan was pristine throughout and every essential thought of. We had a home from home holiday with friends and look forward to our next stay! Thankyou Bethany such kind words I'm happy you had everything you needed and both you and your friends enjoyed. ???????? Hi, we just spent the weekend at this caravan and had a fabulous time! 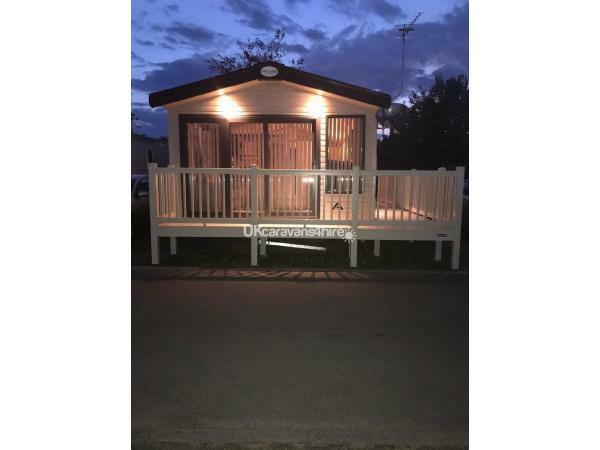 The caravan is beautiful, the owner very helpful and the park itself is very well equipped for young children. The staff in the Mash & Barrel were really pleasant and welcoming! Excellent family break. Thank you all so much ???? Hi Jane Thank you for you review so glad you all enjoyed hope to see you again soon. Beautiful caravan, the best I have ever stayed in. Lovely decor, comfy beds and everything you need to make your stay enjoyable. Very spacious and lovely veranda with furniture. We will be back ???? Hiya Jackie Thank you so glad you liked my caravan means a Lot for your kind words. Also glad you all enjoyed. See you again soon. Just had a fabulous week the kids loved it the caravan is to a very high standard. The owner obviously cares for it and lots of thought gone into the decor . Definitely stay again just gutted it has already been taken for the week we need next year highly recommended. We stayed Monday to Friday family of 3. and we had a brilliant time. The caravan is absolutely gorgeous. Very clean and spacious. The beds are so comfortable. Everything you need is all in there. I would definitely recommend this to anyone and I would definitely stay again myself. All in all 10 out 10!!! 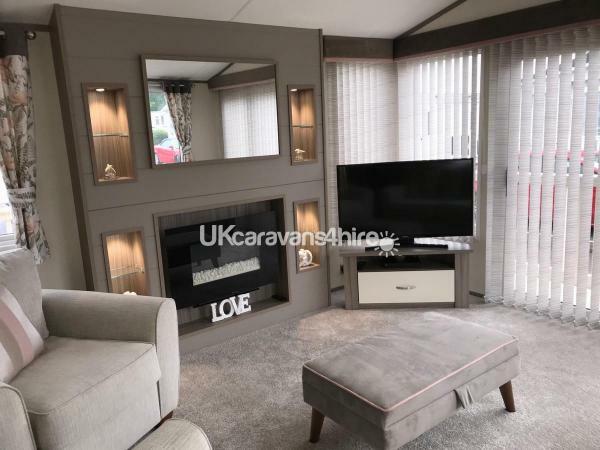 Hi Kelly Thankyou so much for your kind words, im so glad you enjoyed your holiday and all the comforts of the caravan i alwais aim to please. You were my first guests in the caravan so i am so please was all good. Hope to see you soon.